Since 2007, Anna represented clients in arbitration and general jurisdiction courts, advised companies on structuring deals with foreign participation, developed and analyzed strategies for protecting and managing intellectual property in the Russian Federation and abroad, and prepared expert opinions in the field of intellectual property. 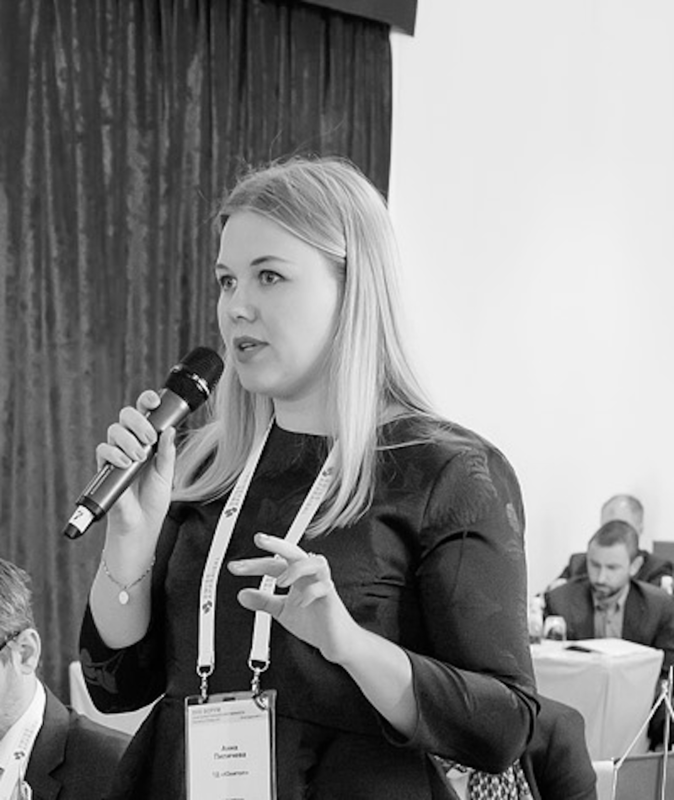 During her professional career Anna worked in the Legal Department of the Skolkovo Foundation, the Max-Planck Institute for Innovation and Competition in Munich, as well as headed Legal departments in large Russian companies. Since 2013, Anna combines working as a practicing lawyer and teaching university-level IP, patent law and other related courses. Anna is a co-author of a textbook on intellectual property law, the author of a monograph, as well as academic programs for students, and scientific papers. Anna graduated from the Civil Law Department of St. Petersburg State University. In 2010, Anna completed her studies at the Department of Law and Economics at Ernst Moritz Arndt University in Greifswald, Germany. In 2012, she received a Master of Laws degree (with honors) from S.S. Alexeev’s Research Center of Private Law under the President of the Russian Federation in Moscow, as well as a Diploma with Honors from the Law Department of the University of Vienna in Austria under the “European Studies” program. In 2016, she defended her PhD thesis (specialization 12.00.03 – civil law; entrepreneurial law; family law; international private law) at the Institute of Legislation and Comparative Law under the Government of the Russian Federation. In 2017, Anna received a Master of Laws degree (with honors) in Intellectual Property (LLM thesis: “Legal problems of monoclonal antibody patents: patentability criteria and law enforcement practice”) from the University of Turin (Italy) and the World Intellectual Property Organization in Geneva (Switzerland). Anna also studied International Public and International Private Law at The Hague Academy of International Law in the Netherlands. Anna has a diploma in Copyright Law from Harvard Law School (USA). Anna supports several charitable organizations.